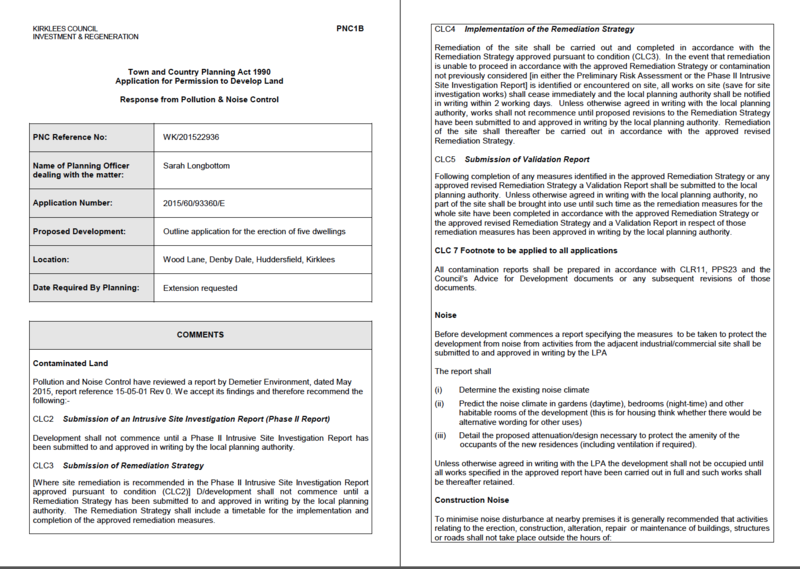 In order to support the application for the erection of a dwelling a Phase I desk study report was required to support the application and to determine if the site could be made ‘suitable for use’. Demeter Environmental were commissioned to prepare the desk study report for the site. Initially the history of the site was reviewed using a combination of historical Ordnance Survey maps , aerial plates and street level imagery. This revealed the site was undeveloped until the late 1990’s when a single building was present. 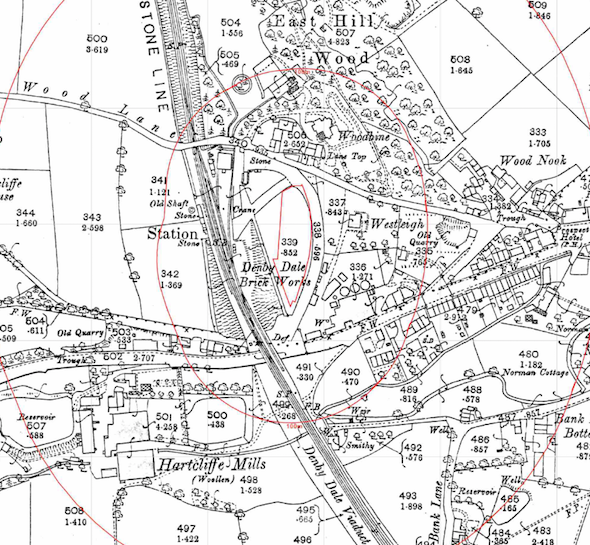 The adjoining railway line was present from before the first edition O.S. map. A number of parcels of in-filled land (excavations, quarries, reservoirs etc.) were identified within 250m of the site. Geological maps for the area indicated that the bedrock (Pennine Lower Coal Measures) were exposed on the site. The geological maps indicated that there was a possibility of shallow coal seams under the site. 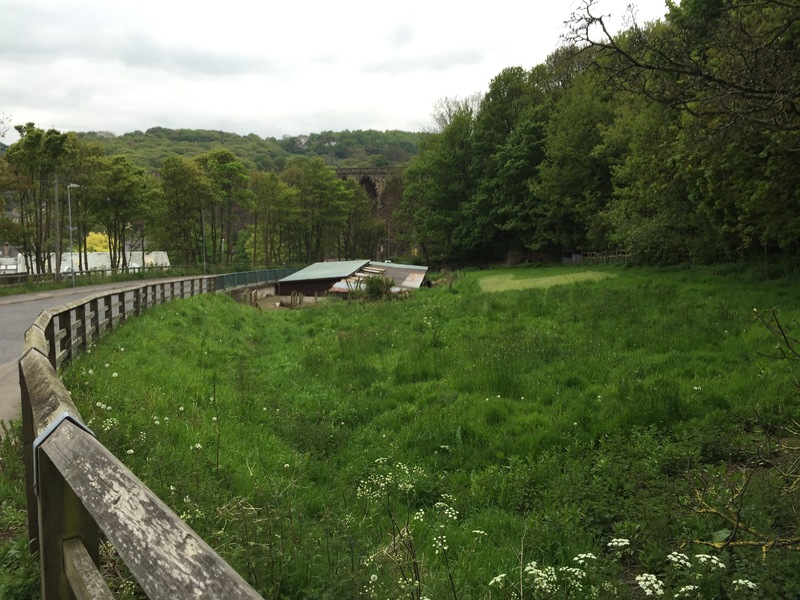 Data provided by the Environment Agency and Groundsure identified a number of industries in close proximity to the site including an electricity substation. Two landfills were identified to be within 250m of the site, one of which was an inert landfill. On completion of the desk based assessment a site walkover survey was undertaken, which revealed the site comprised of open land with a single story building on the south eastern area, which was used to house chickens. A qualitative risk assessment was undertaken to assess the potential sources identified in the desk study report, which concluded that the potential shallow coal seams and off site source of ground gases required further works. The recommendations of the report were accepted (can be accessed here) and the application was granted.